Is "community" in America in decline? If so, does this mean that charitable giving in the United States is also in decline? 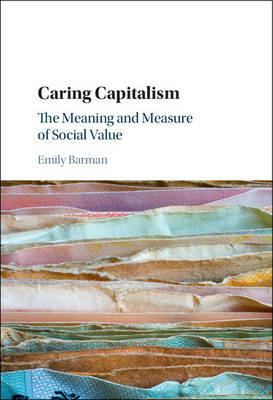 In this innovative and original work, Emily Barman offers new insights into this important issue. Analyzing workplace charity in different cities across the United States, Contesting Communities shows that while traditional notions of community might be in decline, new types and visions of community have emerged. Barman traces how these different "communities" take the form of organizational competition between the United Way and new alternative fundraisers over workplace contributions. Deftly blending sociological theory of organizations with archival research, interviews with nonprofit leaders, and original survey data, Contesting Communities ultimately shows that the meaning of community occurs almost incidentally to the wishes of those who give and the needs of those who receive. 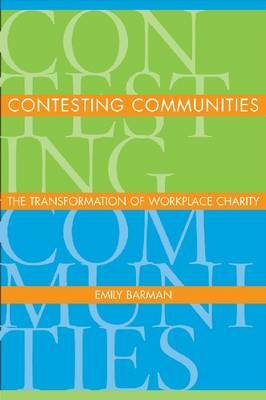 Buy Contesting Communities by Emily Barman from Australia's Online Independent Bookstore, Boomerang Books. Emily Barman is Assistant Professor of Sociology at Boston University.